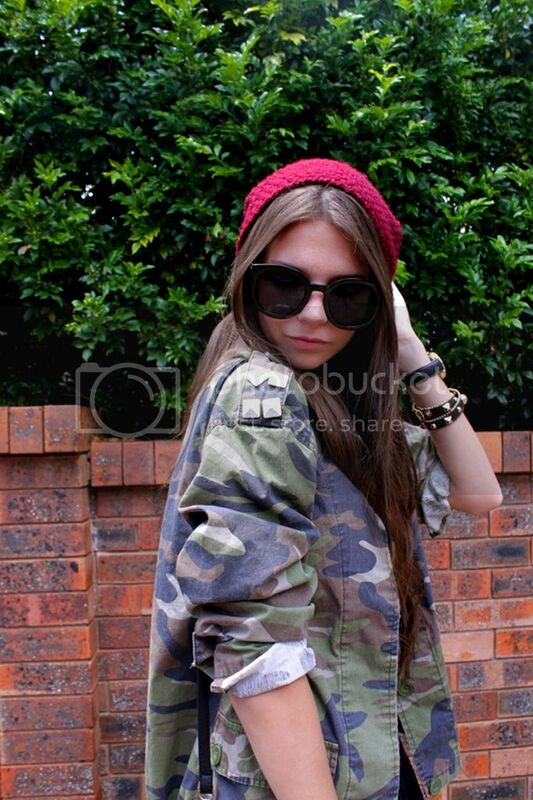 wearing: top - Wildfox Couture, Skirt - Market HQ, Jacket/boots/bag/necklace - Boohoo.com, beanie - vintage & shades - eBay. I've had such a huge week that I was so happy to sit down this afternoon with a new bottle of nail polish, a glass of wine and a movie. Balance people! It's all about balance. Over the weekend I'll let you in on some behind the scenes photos from my day in Bondi with Boohoo AND a new giveaway coming up! I also have a few things from my wardrobe on eBay at the moment so have a bid here. How cute are boots and bag!! thank you for stopping by my blog. I remind you my Ciate' Mini Bar GIVEAWAY, hope u like it! so rock mood!like it dear! I'll do the same back immediately! Cool bag and whole look too!!! I'm following your lovely blog! 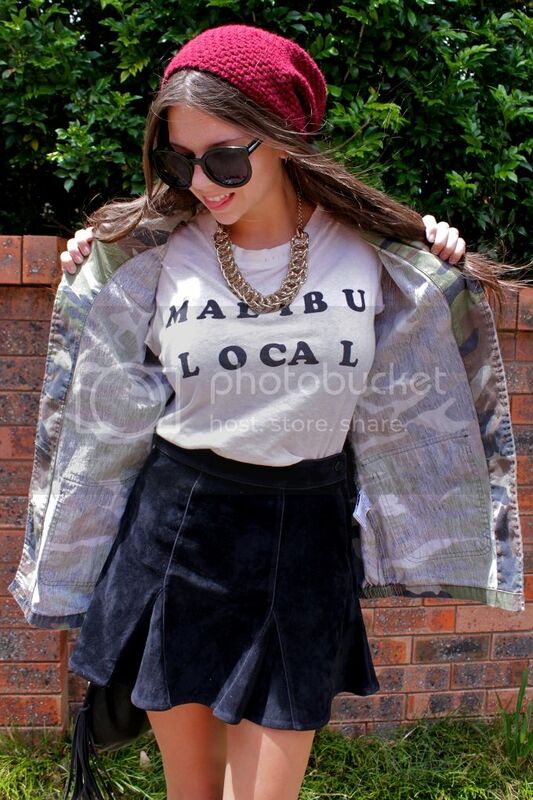 Love the tee with the skirt and boots, it's styled just perfectly! And glad you got to enjoy a glass of wine and unwind, it really does make a difference! Love everything about this outfit,especially those cool boots! I love all of your sunglasses, and I'm absolutely love this look! I love the combination! 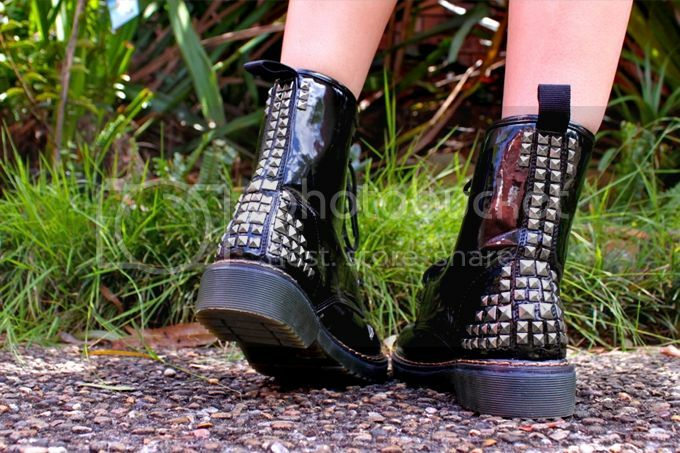 The boots are so cool! 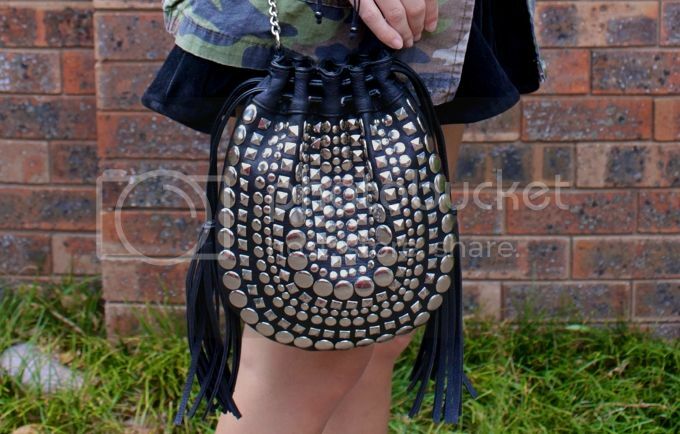 i love the studs on the purse. fun outfit! A movie + a glass of wine is my favourite combination too. :D LOVE your bag by the way!! omg, you really rock this look! 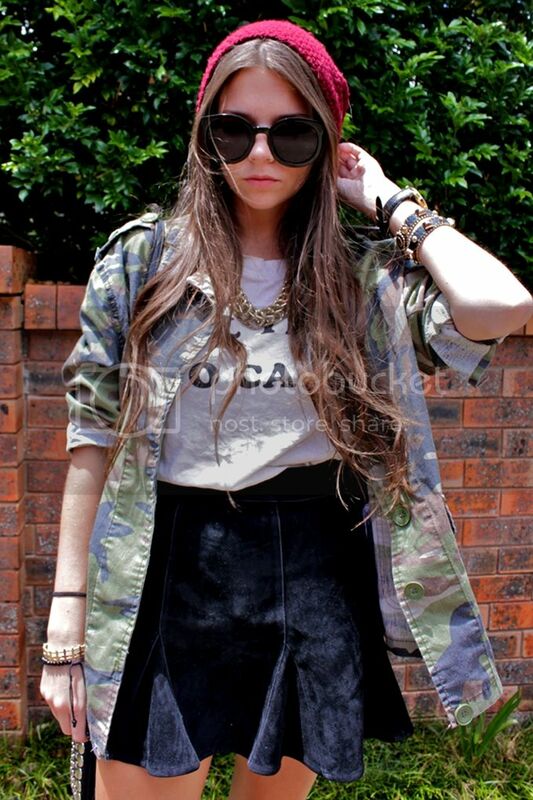 i love the military jacket! i followed you cuz you're awesome. 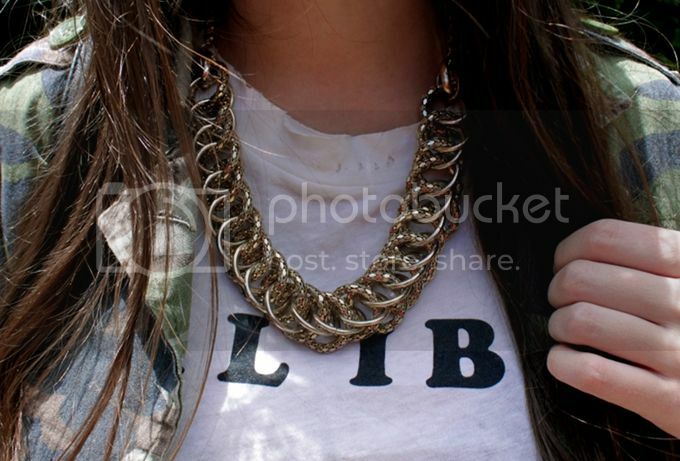 I love this look - the huge necklace looks so cool. amazing outfit, you styled it so great!